Spend three nights at the new and trending Gorgeous George Hotel in Cape Town, part of the Design Hotels collection. Contemporary South African style meets a vintage edge. You will then spend two nights in the Cape Winelands in Franschhoek, the “French capital” of South Africa, where you enjoy a stay at the elegant The Last Word Franschhoek. Upon arrival at Cape Town International Airport, you will be transferred to the Gorgeous George. Gorgeous George is the newest trending addition to Cape Town. 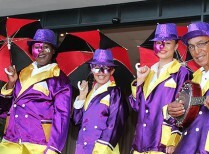 It is right in the heart of the Central Business District of Cape Town on St George’s Mall. 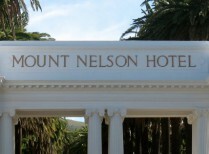 It was created out of two restored heritage buildings and is the first hotel in Cape Town to join the Design Hotel’s stable, which is a worldwide collection of privately owned and operated hotels. Originally built by the United Building Society, the hotel’s entrance is classic art-deco and the conjoined building boasts traits of the New Edwardian style of the 1940s. International award-winning interior designer, Tristan du Plessis, was responsible for the hotel’s exquisite interiors and there is a sublime hotel terrace that overlooks the beauty of the Mother City. After breakfast, you will be road transferred to the Last Word Franschhoek. The Last Word Franschhoek, based in the centre of the picturesque village of Franschhoek, will appeal to sophisticated travellers looking for simple yet luxurious comforts in a convenient setting. The boutique hotel is within walking distance of gourmet restaurants, artisanal delis, upmarket shops and intriguing markets; a bit further away are the wine farms that Franschhoek is famous for, as well as golf courses, horse studs and beautiful mountains just begging to be explored on hikes, bikes or horseback. 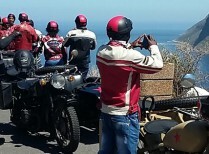 The hotel is based in a restored Cape Huguenot dwelling and offers an intimate and exclusive experience with its blend of classic and contemporary furnishings, its private swimming pool and expansive deck offering great mountain views, and its sumptuous breakfasts. 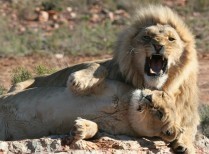 This is a fantastic safari experience a convenient 2-hour drive from Cape Town. We head up the N1 Highway, through the incredible Hex River Valley and arrive at the Aquila Private Game Reserve. The diverse environment of the reserve ensures much to interest passionate wildlife watchers and birders. A well informed Ranger will lead you on an exciting open vehicle game drive and you stop for a delicious lunch at the lodge.